Import volumes have rebounded at U.S. West Coast ports so far this year, according to Datamyne, a provider of web-based international market intelligence. 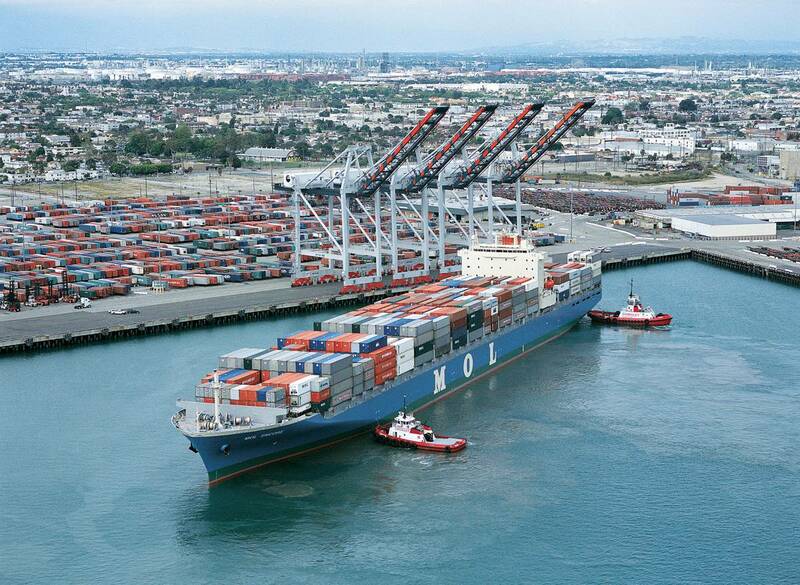 Datamyne found that imports through the port of Los Angeles have increased 36 percent from January through February of 2016 and 30 percent through the port of Long Beach, compared with the same time period in 2015. The port of Oakland also had a notable 52 percent increase in import TEUs compared with January and February of 2015, Datamyne said. 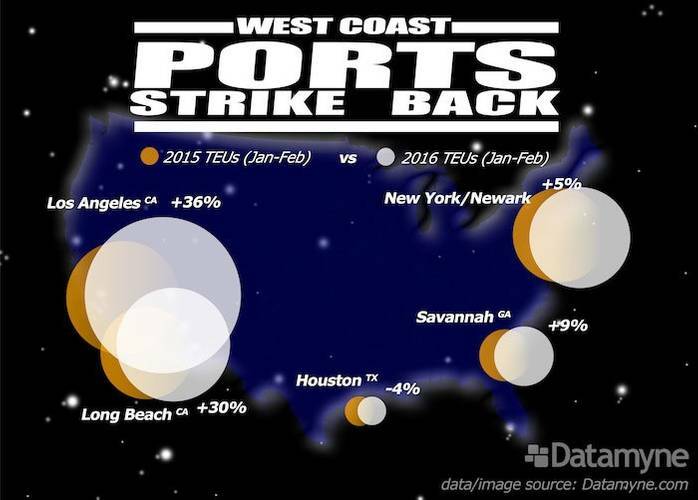 East and Gulf Coast ports did not see the same sweeping growth, Datamyne said. Compared to January through February of last year, the port of New York/Newark increased in import volume by 5 percent, Norfolk, Va. was up 17 percent and Houston declined 4 percent. The port of Savannah, which looked to have prospered from the western slowdowns last year, has continued to grow by 9 percent so far this year.